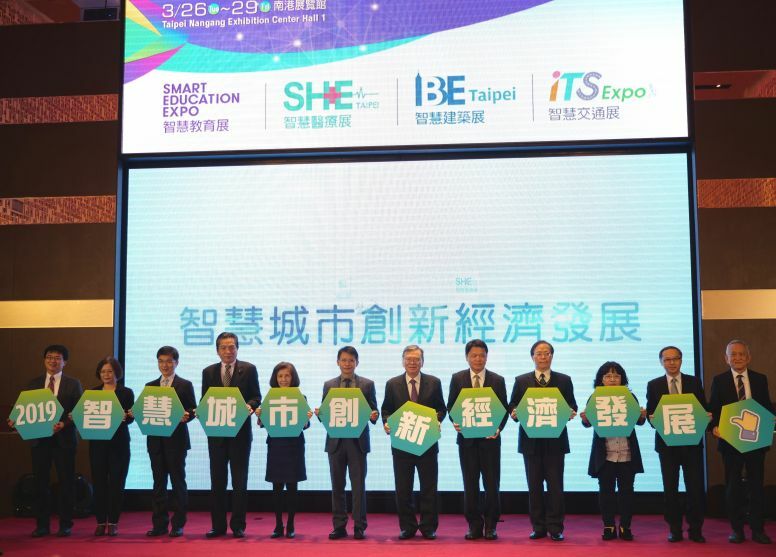 A record number of exhibitors and officials are set to attend the Smart City Summit and Expo March 26-29 in Taipei City, spotlighting Taiwan’s expertise in developing cutting-edge intelligent urban solutions. According to co-organizer Taipei City Government, 337 government agencies, companies and research centers from home and abroad will showcase the latest smart city products and trends at some 1,250 booths. The sixth edition of the annual event also features a pavilion highlighting related artificial intelligence systems by 36 startups from around the world. The mayor’s summit is expected to draw around 128 municipal leaders and representatives from 33 countries and territories, TCG said. Discussions will center on advancing innovative entrepreneurship and building sustainable communities. Cheng Yu, chairman of Taipei-based Chunghwa Telecom and head of co-organizer Taiwan Smart City Solutions Alliance, said that the record number of overseas attendees spotlights the nation’s prominent role in the sector. SCSE will help further deepen Taiwan’s know-how in the field and boost exports of locally developed solutions, he added. According to TCG, the second day of the event will see the official launch of the Global Organization of Smart Cities, with 92 municipalities and 41 enterprises expected to join the initiative. It will serve as a platform for sharing best practices, facilitating experiments on smart city solutions and improving urban living conditions worldwide, the city government said.